Finally! Chelsea knows that "Gabriel" is really Adam. It's about time she learned the truth. What next, though? I think she'll eventually forgive him and everything will be peaches and cream . . . until she learns that he is the father of Sage's unborn child. We don't know that for sure yet, but chances are it will turn out that way. Now that Chelsea has discovered Gabe;s real identity, I wish the others would learn the truth too. However, I wasn't the least surprised when Chelsea intervened and prevented Adam from revealing himself to Billy, Victoria, Ashley and Nick. They will eventually learn the secret, but not just yet. It's going to be drawn out longer for dramatic effect. As for Sage, it's just a matter of time and her secrets and lies are bound to be revealed too. Yes, Marisa saved Sage's bacon this time around. She intercepted Sage's letter to Nick and helped her hide her dirty laundry, at least for now. Soap secrets, however, rarely stay hidden forever. I doubt Nick and Sage will survive as a couple for very much longer because the odds are not in their favour. Nick will be extremely upset when he learns of Sage's complicity in the Adam-Gabriel deception and he will never accept Adam as the baby's father. That's why N and S are toast as a couple. Well, Dr. Stitch is back is practising medicine again. He's been reinstated as a resident at the hospital. He's also Genoa City's resident ladies' man. This time he's becoming caught up in a triangle with girlfriend, Abby, and her mother, Ashley. Abby used to be the flaky "Naked Heiress." Now she is trying very hard to be taken seriously as a high level executive at Newman-Abbott. Her methods include getting drunk at a meeting with a labour representative and ending up in the hospital. I think Stitch 'em Up and Ashley have better chemistry (pun intended) than Stitch 'em Up and Abby. It seems they have more in common. Abby is far from ready to settle down with one boyfriend. She enjoys male attention and is in her element when she's flirting. She may have ditched her Lady Godiva act, but she remains an immature, spoiled brat. She certainly lacks judgement (example: her recent entanglement with Austin, her niece Summer's husband). I have to give Clueless Police Chief Paul Williams some credit for being right for once. He didn't think that Joe Clark was the one who attacked Avery. Speaking of Joe, is there any character who has been punched and bashed around as much as he has? What is it about him that makes people think he's always guilty of terrible crimes and misdemeanours? I think it's his smirk and his shifty eyes. He just doesn't appear to be trustworthy or sincere. I also think that Joe (Scott Elrod) will remain on the show after Jessica Collins (Avery) leaves. He's going to stir up more trouble in Genoa City. The break up between Cane and Lily seems contrived, as if the writers wanted to tear them apart for storyline purposes (which is true). Cane (Daniel Goddard) is trying terribly hard to appear angry, unforgiving and cruel toward Lily. I'm not convinced he really means it. Cane would be extremely upset and broken-hearted about Lily's unfaithfulness, but would he be that callous and unyielding? Would he demand full custody of the twins, knowing that it would keep them away from their mother? Here are some comments from Carly from Barrhaven, Ontario. I am glad that Chelsea knows the truth about Adam. As for the Sharon/Dylan storyline I think it's crazy that she is pregnant and I guess if she has to be with someone it might as well be Dylan. I wonder how much longer Jack will be in a coma?? "The Moustache" is unbelievable and of course he would have someone on the inside helping him..lol. Yes, Carly, "The Moustache" is certainly unbelievable. I'm just tired of him always winning. It's about time he had his comeuppance. His never-ending excuses such as "That's the way business is done," and "I had to protect my family." don't cut it. They may satisfy Princess Victoria, but she is blind where her daddy is concerned. Well the darn camera panned down to her bare feet with shattered glass around them. Thank you, Patsy, for your eagle-eyed observations. Fifi from Collingwood, Ontario was pleased that Marisa stood up to Victor when she visited him in jail. I was too. It's about time someone wasn't intimidated by The Big Man. If you are a fan of Jessica Collins (Avery Bailey Clark), you can catch her final Y&R appearance on Tuesday, July 21st on CBS (Monday,July 20th on Global TV in Canada). In case you're wondering why she's leaving Y&R, here's her side of the story. Jessica told Soap Opera Digest that she hasn't been happy with Avery's storyline. She stated, "I've been disappointed with the story and the direction and integrity of my character for quite some time, but I was still hopeful we could turn it around." She admitted that she wanted to remain on the show but her contract was up for renewal and she was not satisfied with the show's offer to her. "I was told there was no room for discussion, which made me realize there wouldn't be much discussion for the character, either." 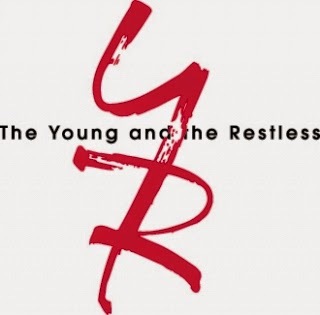 According to Daytime Confidential, Y&R has sent a casting call out for a Spanish male actor in his mid-twenties to early-thirties to play the recurring role of a new character named "Luca" (the name can be changed). "Luca" is supposedly a charmer with women. Hmmmm . . . I wonder if he will have an association with Marisa, since she is also Hispanic? Her brother, perhaps? 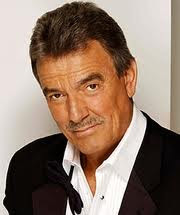 Victor (Eric Braeden) and Nikki (Melody Thomas Scott) have been one of Y&R's most enduring couples. Although they broken up many times, they have always found their way back to each other. Nikki has always forgiven Victor for his transgressions. Now they are estranged again. Nikki is insisting that she has to stay away from him. Will she keep her resolve this time? Has Victor finally crossed the line with all his misdeeds and duplicity? What do you think? Will Nikki forgive Victor this time? Yes, she will always go back to him. He always wins. Maybe eventually, but they won't reconcile for quite a long time. No, Nikki is finished with Victor for good. They're through. That's all for now. Remember that the next edition of Y&R Report will appear in this space on Saturday, August 1, 2015. I hope there is some summer fun in Genoa City, something to relieve some of that tension on the show. How about some pool parties and barbecues?